Crafting: Lovebug Creations Blog Hop for March Holidays! Cead Mile Failte and Welcome to the Lovebug Creations First Ever Blog Hop! This weekend the Creative Team is celebrating March holidays, including St. Patty’s Day, Easter and even National Peanut Butter Day. 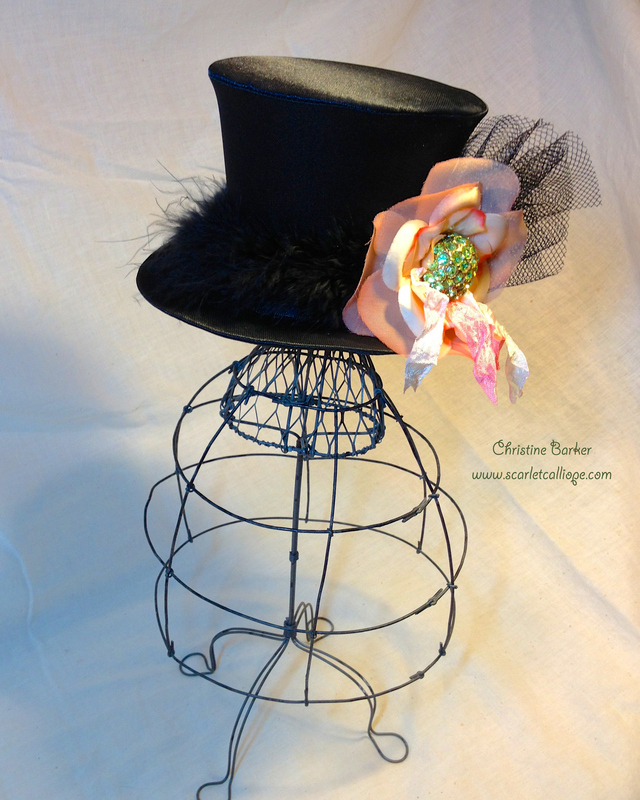 With St. Patrick’s Day just around the corner, I decorated a little top hat that I had in my craft room. I’m imagining it on a cute wee leprechaun lassie jumping about looking for a pot of gold at the end of the rainbow. First, I hot glued a black marabou feather mini boa trim around the brim. Next, I gathered some black mesh with a length of thread and glued that to a paper circle base. On top of that I hot glued several layers of vintage silk flowers together. The next step is to add some Lovebug Creations Rumple Ribbon from the “Pink Clouds” assortment. I finished it off with a vintage green rhinestone button that I found at an estate sale and used my glue gun to attach the whole embellishment to the feather trim. This winner along with the winner from our sneak peekaboo week will be announced Monday morning on the Lovebug Creations Blog!!! If you love these delightful ribbons as much as I do, you’re in LUCK! You can order them on Sunday, February 24, 2013 from Lovebug Creations. They say money can’t buy happiness, but it can buy Rumple Ribbons and that’s kind of the same thing! 10. Christine You are Here! What a fun project Christine! I wish I were a wee little leprechaun & could wear that gorgeous hat!! How pretty!! Such a wonderful idea as well!! I love the way the ribbon sits and almost POPS off the hat. Great job toots!! What a cute little hat!!! really love the color contrast! I would totally wear this hat!! I love it!! This is so cute. I would wear it too! You did a great job. 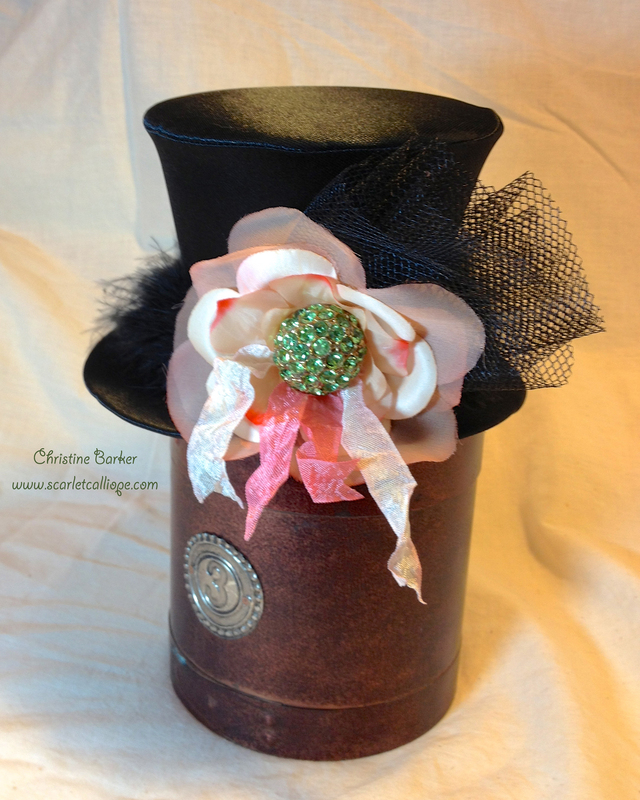 The rumple ribbon really gives it a classy touch too, don’t you think! You are amazing! Christine, me too (I’d definitely love to wear your hat). The colors definitely pop and everything about your project is amazing. I also appreciated that you told how you designed this! TFS and being a part of the LBC CT! 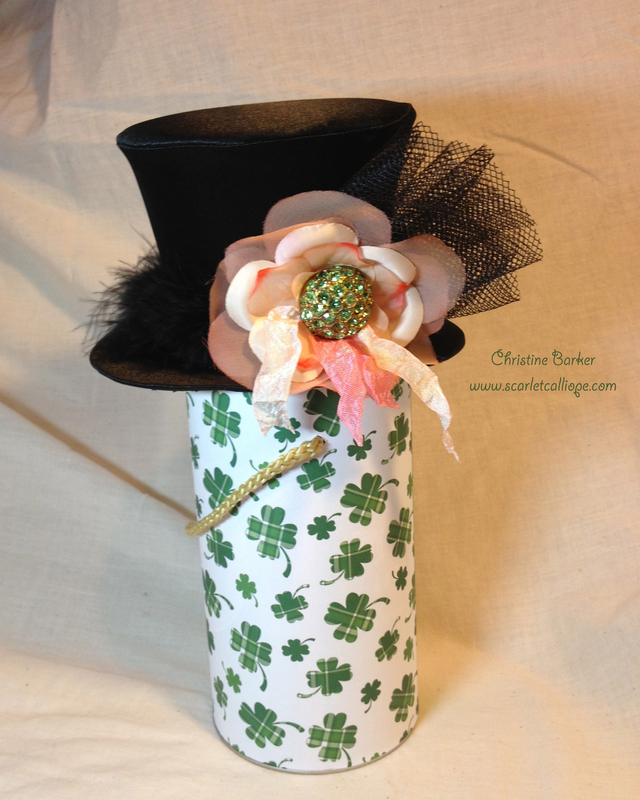 Oh Christine, your leprechaun lassie’s top hat is simply enchanting! I love the magical feeling it evokes … very fun! Top ‘o the morning to you, too, lassie. I absolutely adore this hat, Christine! The colors really pop and the different materials you used are the best…. way to go!! Hope my name gets entered for a chance to win this! oh wow this is so cute. I like the colors used and the add rhinestone button.